Earlier this week, Rocket League kicked off its third anniversary celebrations, and boy did it ever bring new content - even if it is time-limited. The most important and/or biggest thing comes in the form of a brand new stadium. Except it's not brand new. 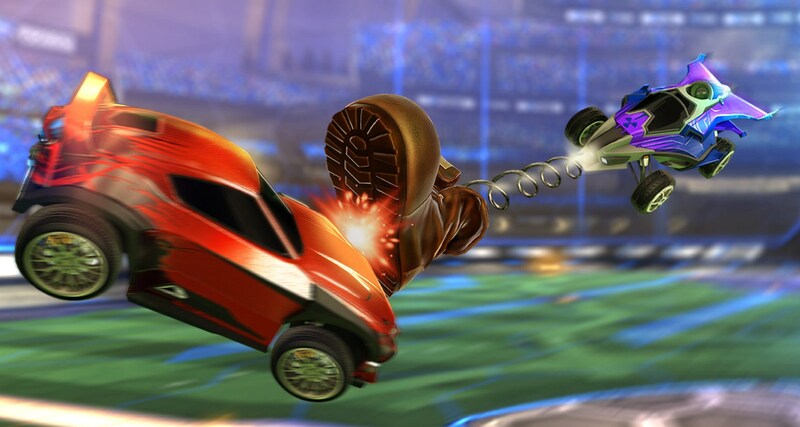 In fact, those who played Rocket League's precursor, Supersonic Acrobatic Rocket-Powered Battle-Cars, should be quite familiar with its layout. But that's just one of many new things/features/additions. For those thinking that it hasn't been long since Rocket League added groovy new stuff, well, you're totally right. Should that stop them from making a great game even better, though? Heck no! Oh, and get this: the AquaDome - which is a brand new arena - has you playing... submerged! Well, the arena, anyway. In a dome. Because why not? Also, could have sworn I caught a glimpse of BioShock's Rapture through one of its windows. 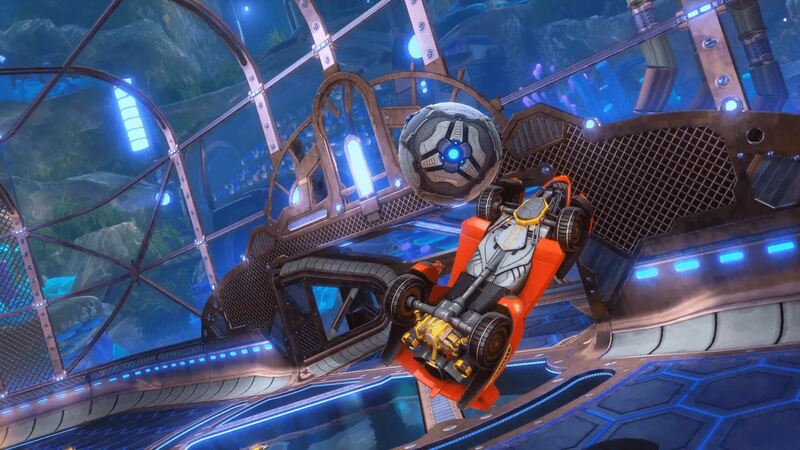 Just in case Rocket League wasn't already chaotic enough in its more normal modes (yes, that includes Snow Day), its creator decided to take the craziness even further with a brand new mode. One that features genuinely awesome power-ups, and randomized ones at that. Also, a "crates and key" system because money. The mode itself will be free to everyone in an update that's already live, however. Had someone told a year or two ago that a game would soon exist, in which two teams played soccer in RC cars, I'd likely have snickered and walked away. Yet here we are, Rocket League being not only a thing, but an incredibly popular (and awesome, based on personal experience) one at that. So much in fact, that it's about to become… an eSport! Incredibly groovy.